"Through my books and lectures I can only give you a picture..."
During the stay at Vaidya's Ayurveda Village, every guest gets the guidance to practice Ayurveda lifestyle through the right food, right exercise (yoga and meditation) and right relaxation programs for the body and mind according to the PDE (Presently Dominating Element). After a diagnosing session with the chief physician the treatments, yoga and diet is designed for each individual and monitored daily. 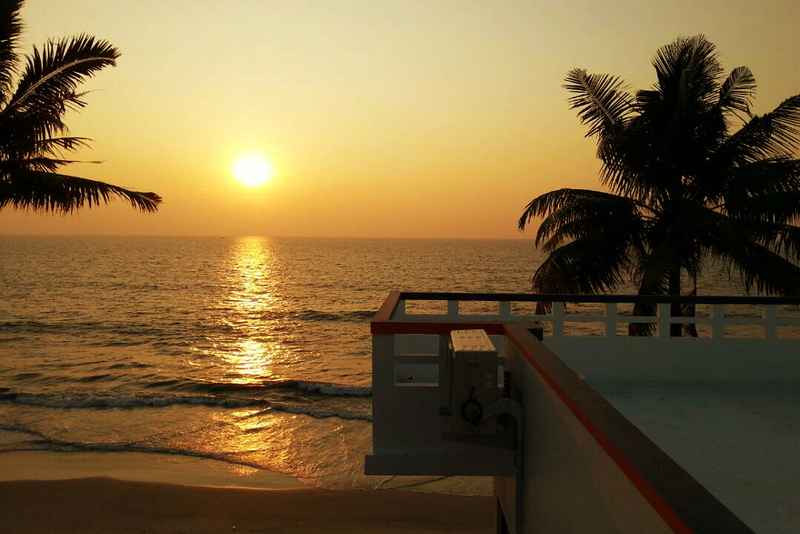 Vaidya’s Ayurveda Village is situated at the coast of the Arabian ocean in Alleppy district, Kerala, South India. The local people here on the coast are mainly fishermen using wooden boats for their living. Though a few tourists have started to find this area during the last few years it is still out of the sight from the international tourist maps. Hopefully for a few more years it will stay as the virgin village. 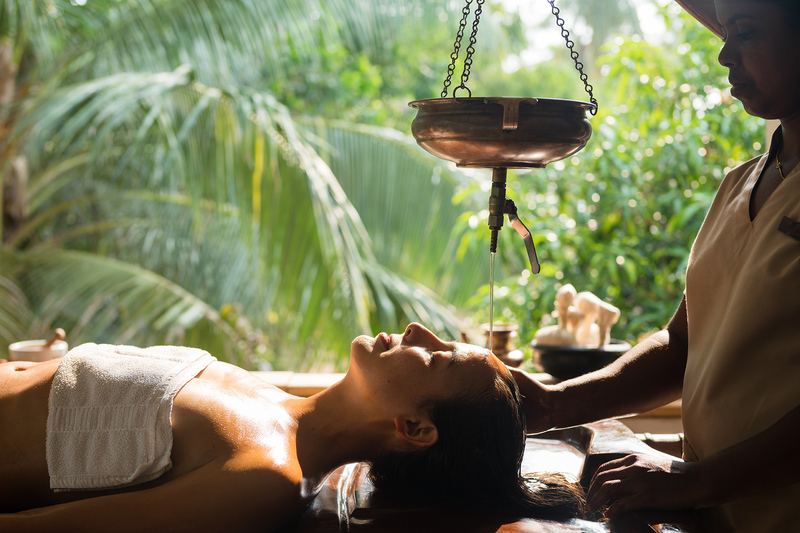 At Vaidyas Ayurveda Village you will experience many of the traditional ayurveda treatments. Your treatment schedule will be designed based on your state of balance/imbalance and performed in fully covered bamboo rooms. According to the physicians diagnose ayurveda adapted plantbased meal programs are designed for each guest. 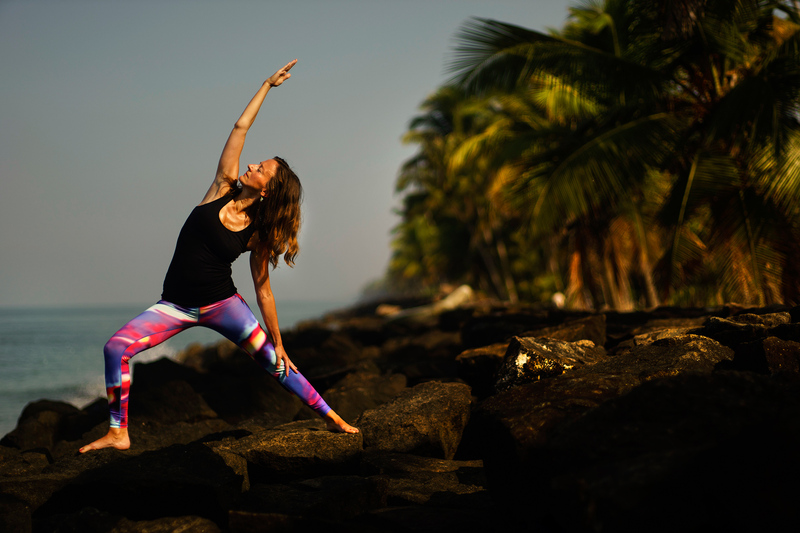 During your stay at Vaidyas Ayurveda Village you meet our yoga therapist to get a personal yoga program based on your element/symptoms/imbalances. All rooms at Vaidya’s Ayurveda Village are by the ocean and have attached toilet and shower. Our friendly and dedicated staff is our signature, which can’t be compared to any other qualities. The retreats are ongoing all through the year. Write to us for available dates. "Coming back to Vaidya's Village is like coming home. The smiling faces of the staff, the sound of the waves breaking against the shore and the laughter and delicious smells from the kitchen. What I have appreciated the most with my stays at the village is the opportunity to reflect over what really is important in life, to listen to my inner voice and to find peace of mind. Thanks to the personal yoga program, the food adapted to my needs and the daily treatments the body is also cleansed and strengthened. Every time I leave i feel like a new and better person, and the feeling stays with me for a long time afterwards." "My time at Vaidya's Ayurveda Village was overwhelming, I learned as much that I will always carry with me. The best part was that everything was so thoughtful and I felt so safe in this. My stay with you has helped me find myself again. I'm incredibly grateful for that. I must also mention the food that was so amazing -every meal was a party!" "My stay at Vaidya’s Ayurveda Village was a wonderful experience. It gave me so much in terms of self-awakening and health. The staff is absolutely amazing – very kind and truly genuin. I´ve never felt so seen and heard as a human beeing before. It´s wonderful to surround yourself with like-minded, in beautiful surroundings, an ocean with dolphins, silence, treatments, yoga and healing food. The retreat was a mental roller coaster for me (time with yourself can create that) - but the wonderful thing is that I also had time to process it! And I left India as a much more grounded and secure version of myself." "I was lost but found myself at Vaidya’s Ayurveda Village thanks to all the beautiful people that work there. My three weeks stay lifted my soul and warmed my heart." "I’ve been to the retreat twice. I love it! It’s simple but luxurious. Love the kind smiling people who take care of us. So much love! The healthy food. The weather! The whole experience is so good both mentally and physically. It’s like rolling up a curtain to clear your mind. I feel light, sparkly and happy! I bring the relaxed feeling back home to Sweden. Look forward to my next visit!" "I have got a new way of living, the Ayurveda way. I loved the treatment with oil massage and the yoga was a new experience and have helped me a lot. The food was excellent and the cooking classes where great. I had a wonderful stay at Vaidya’s Ayurveda Village." "It was wonderful being so close to the ocean and to fall asleep every night to the sound of the waves. Watching the sun rise while doing yoga on the roof every morning, and watching it set over the ocean while having dinner." "I had a great time at Vaidya's Ayurveda Village. The staff was very kind and interested in my well-being. It felt more like being with friends then just being a client at a hotel. I appreciated that the retreat itself only occupies 14 guest, so there is an intimate atmosphere and you get to know the other guests easily. The Ayurveda food was incredibly delicious and diverse; I enjoyed to taste new Indian flavours. Moreover, the four-hand massages every day really helped me to calm down and to relax body and mind. The daily visits with the doctor gave me a good feeling, as a professional was monitoring the improvement of my blood sugar due to the healthy diet. The yoga classes each day helped me to feel really comfortable in my body and I learned about meditation. I can really recommend a stay at Vaidya´s Ayurveda Village." "As I stayed at the village I enjoyed the calm and friendly atmosphere. The humid and embracing warm climate. The waterfront. Beautiful sunsets and rise. Dolphins. Birds. The green surroundings. The very nice and caring therapists. The clean and cool room. The other guest's company. The professional staff. I continue to improve my health through my specific yoga and medical food - I have made it Swedish." "My visit at Vaidya's Ayurveda Village was the best journey I have done, so much love from all the staff. My inner stress disappeared, I feel so calm in my body. My high blood pressure become normal after the treatment program. Wow! I am very happy about that, that you can affect the blood pressure with ayurvedic treatments. Whith love I can recommend you to vist Vaidyas Ayurveda Village." The retreat is situated in the middle of a local village at the coast of Arabian ocean which is not touristy. We only take maximum of 14 guests at a time, which gives us time to take personal care of each guest. There are no ready-made treatment programs like ‘panchakarma’ in Vaidya’s Ayurveda Village. Each guest’s treatments, oils and herbs are designed according to their present health condition after the first consultation with the chief physician. There are no general yoga styles/practice at our retreat. Each guest’s yoga program will be designed according to their body-mind condition, which will be planned at the personal meeting with the yoga therapist. 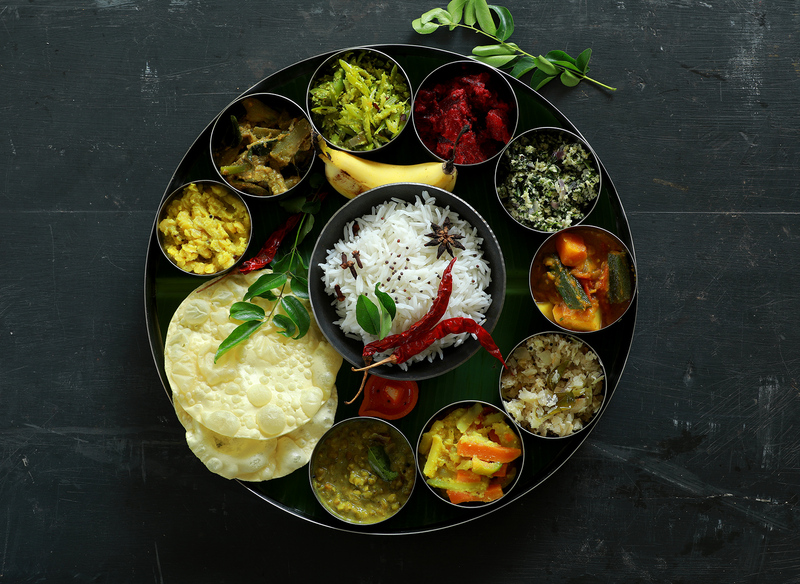 There is no common diet for our guests – The food is not only animal free, gluten free and sugar free, but also designed according to the guest’s prakruti (birth dominating element) or vikruti (out of balance). Yoga /meditation workshops /cooking classes to enhance the participant’s physical and mental skills. 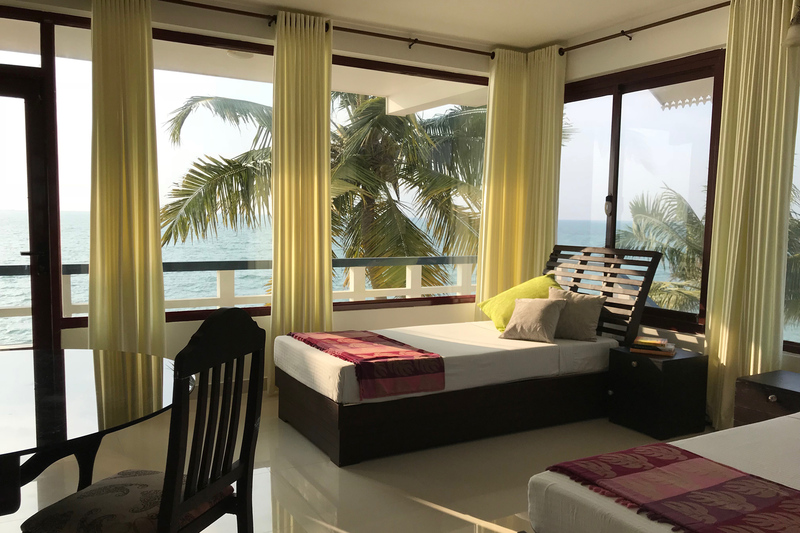 Although Vaidya’s deep cleansing and rejuvenating treatment programs are highly therapeutical and done by experienced ayurveda physicians and expert therapists without compromising the authenticity of traditional ayurveda, because of our hospitality and a relaxing accommodation at Dolphin Beach, the guests feels a holiday ambience during their stay in a serene village. You can choose an ayurveda retreat according to the length of your stay at Vaidya's Ayurveda Village. All packages include individually designed diet with cleansing/rejuvenating treatments and yoga program according to your specific body-mind constitution preceded by an ayurveda health checkup with the chief physician. After the health check-up the chief physician will design your treatment program according to the balanced-imbalanced state of the elements in your body and mind. The duration of the journey differs according to your flight schedule. If your departure is from Europe, apart from the transfer time, it will take approximately 10 hours in the air to reach Kochi International airport in Kerala, South India. Transfer from Kochi international airport, Kerala state, India is included in most packages. A team member will welcome you at the airport and drive you to Vaidya’s Ayurveda Village. The drive from Kochi airport to our village is approximately 60 minutes in normal road conditions. www.vaidyasayurvedavillage.com for more information incl. cancellation policy etc.